Situated on the coast of Southwestern Myanmar, Ngapali beach is a stunning expanse stretching for over 10kilometres. 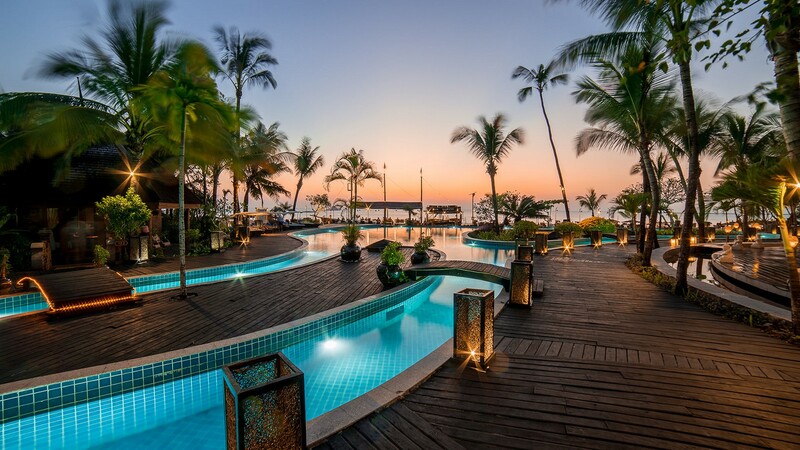 The Aureum Palace Hotel & Resort, Ngapali is set along the magnificent white stretches of sandy beaches with tropical palm trees and crystal clear waters of the Bay of Bengal. It provides a secluded and romantic setting featuring dramatic western facing sunsets upon these natural shores. The Resort stands apart as a premier boutique hotel and features the best Spa in the area, offering the ultimate in personal service and excellence in quality. This breathtaking location offers a stylish and relaxing interiors. An idyllic beachfront resort, famed for the fresh local fare and its individually designed and luxuriously spacious cottages. Whether you choose a cottage in the lush tropical garden, the beach overlooking the bay, or our executive cottage with a private pool, it will be hard to find a place that deserves the term "paradise" equally. This property is 1 minute walk from the beach. Aureum Resort & Spa Ngapali boasts a beautiful resort right next to the beach with an outdoor swimming pool. These cottages offer a romantic hideaway with uninterrupted ocean views of the Bay of Bengal, with its laidback charm, earthy palette and organic simplicity. Just steps away from the seafront, embrace the ocean breeze. Designed with exclusivity as the key concept, it is discreetly tucked away and allows a full view of the Bay of Bengal. Enjoy a romantic getaway directly on the beach. Set along the magnificent white stretches of sandy beaches with tropical palm trees and crystal clear waters of the Bay of Bengal, having dinner accompanied with a bonfire on the beach, with friends or family completes your holiday. It was sunsets that taught me beauty sometimes only lasts for a couple of moments, and it was sunrise that showed me that all it takes is patience to experience it all over again. "S.J. 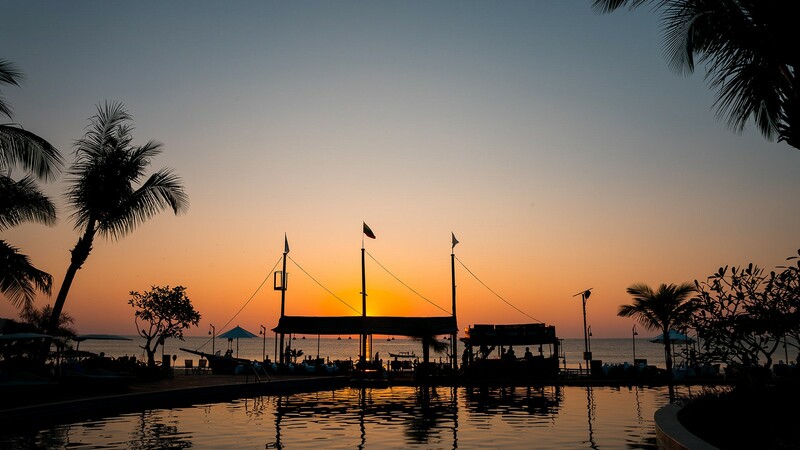 Lawless" enjoy the sunset and sunrise by the beach when you’re at the Aureum Palace Hotel & Resort, Ngapali.